Caller ID Spoofing - How to Call Anyone from Any Number and Unlimited Credits Trick..! Before going deep into which application to use to Call Anyone from Any Number for call spoofing and more, let us first understand the concept of caller id spoofing. So first, what do you mean by caller id? Caller ID (caller identification, CID) is a telephone service, available in analog and digital phone systems and most voice over Internet Protocol (VoIP) applications, that transmits a caller's number to the called party's telephone equipment during the ringing signal, or when the call is being set up but before the call is answered. In short, it is a unique identification of a caller on network and this is generally the number displayed to you on your screen. Caller ID spoofing is the act of altering the information forwarded to your caller ID in order to hide the true origin ID. In simpler terms, caller ID spoofing allows you to display a phone number different than the actual number from which the call was placed. Oftentimes, the most important aspect of caller ID spoofing is spoofing the area code, thus giving you the ability to appear as though they’re calling from a specific location. Caller ID spoofing has been around for many years, and there are various reasons for which someone would place a spoofed call. 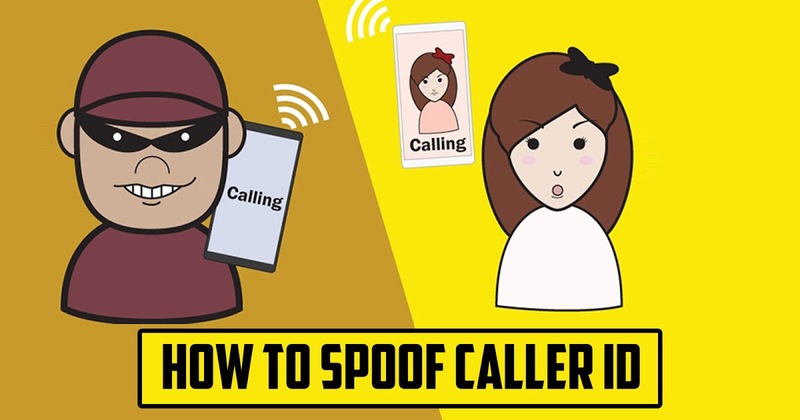 Generally, caller ID spoofing means to fake a call to some person from another number. So that the original number is not shown to the receiver but a fake number is shown as a caller ID. Outbound Caller ID can be spoofed in a number of ways. The most popular, and easiest of these methods is through VoIP (Voice-over-Internet-Protocol). VoIP is the technology that allows for voice communications to be sent over an Internet connection rather than through a phone line or cell tower. Some VoIP providers allow users to configure the number they display as the caller ID through the configuration page on their website. In spoofing services which use VoIP, the user flow is as follows: The user opens the application (web or mobile) of the spoofing provider. They enter the number they wish to call, followed by the number they wish to display. When they press ‘send’ or ‘call’, the call is sent through a VoIP service, where the outbound caller ID is changed and then connected to their desired number. Other spoofing services use a personal identification number (PIN). Users dial a number to connect to the service and enter their PIN. Then they enter the number they wish to call and the number they want to display as their Caller ID. The call is connected and the person they call sees the caller ID they chose to display as their outbound number. In short, the server masks original caller ID with a fake one and then it makes the call. There are many apps available on Playstore for this purpose. But we should take a great care using apps. As apps can also get access to our contacts and gallery and more, and hence there is a scenario of us being spied by others. Also sometimes, cases of data stealing takes place. So, a great care should be taken. Most of the apps available on Playstore asks us to buy credits for calling. Hence, they do not provide this service for free. Also, the rates are different for different apps. And also a limitation is, certain apps work over a definite region only. For example, one app may be able to spoof calls in India but not in other country. Some apps provide use a trial of 60 seconds or more. Then if you are comfortable with the service, they will ask you to buy a package. One such similar app was tried and here I got a trick for you to make unlimited calls. How to Call Anyone from Any Number? You should strictly follow these steps for getting unlimited credits or else this trick will not work. Step 2: Download and install Parallel Space from Playstore. Parallel Space is an application that allows you to clone apps on your android so that you can run two same apps simultaneously. Step 3: Now open Parallel Space (not Fake Call), and select any app to clone. After that you have cloned any app, Parallel Space generates a new ID for this parallel running apps which is different from the original phone's ID. Step 5: Now, open the app (ID Changer) from Parallel Space (and not from your original app drawer). Step 6: After opening, you will get a screen with 0.5 credits, asking your fake number and the number you want to call to. But still don't make any calls. Instead, close the app and reopen it again from Parallel Space. On reopening, your credits will increase to 0.6. Step 7: Now, use this credits making calls and having fun. Step 8: When your credits are used, i.e you have no more credits left, then uninstall Parallel Space and repeat from step2 to step7. NOTE: Do not open ID Changer from the inbuilt app drawer and always open the app from Parallel Space. Now you are using this app for free but is it good and legal to use such applications and spoof caller ID!!! There are different laws applied in different countries. In Canada, Caller ID spoofing is completely legal, although Canadians are plagued by corporations using spoofing for illegitimate or fraud purposes. These are unsolicited calls that go against the terms of service of most spoofing services, meaning the companies in question likely have an in-house service they use. In the United Kingdom, the spoofed number MUST be allocated to the caller, or used with a third party’s explicit permission in order to remain legal. On the top of google you may find the link of this caller spoofing article but it is not working.